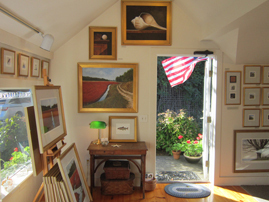 surrounded by country gardens and features his copperplate engravings, acrylics, watercolors, and limited edition prints. 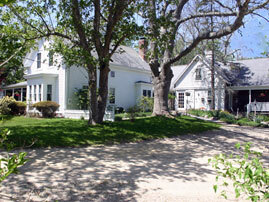 Celebrating 30 years on Cape Cod! Open by chance and by appointment. 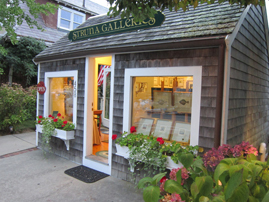 Struna Galleries in Chatham, established in 1998, is owned and operated by the artist's daughter Heather. 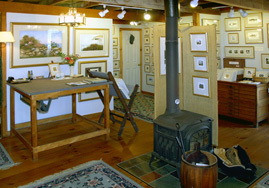 The charming gallery space is nestled in the heart of downtown Chatham. 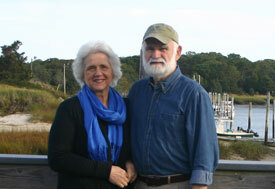 Artist Timothy Jon Struna and his wife Barbara - taking in the view at Rock Harbor. 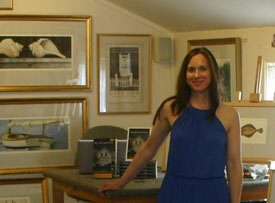 Heather Struna - owner of Struna Galleries in Chatham.